Construction workers build everything from the roads we drive on to the skyscrapers we work in, making them essential. They provide us with durable shelter, safer roads, schools and homes. Nearly every building you see when driving through a city has been touched in some way by construction workers, engineers, architects and designers who built them from the ground up. Working on a construction site can be one of the most dangerous and hazardous situations to put yourself in. 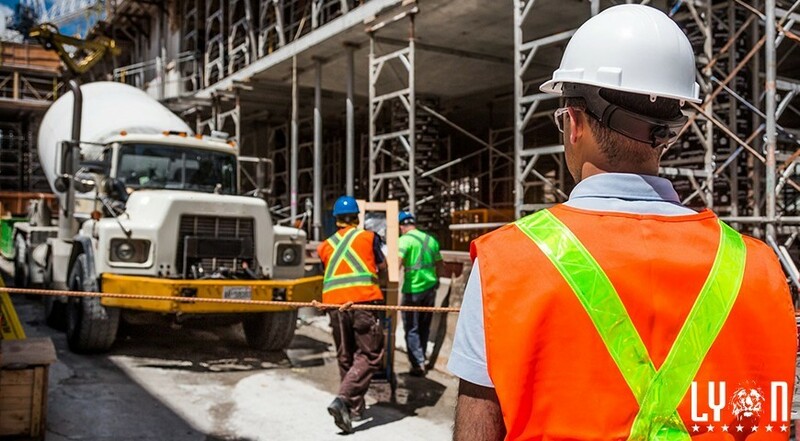 Nearly 150,000 injuries occur on construction sites every year. One of the biggest dangers on a jobsite is heavy machinery. Being able to safely operate machines is extremely important. More than a third of on-the-site injuries are caused by heavy machinery accidents every year. One the most important things you can do for your team’s safety is to ensure that everyone is well-trained. This includes instructions for operating machinery, safety guidelines, emergency protocols and much more. Machinery can be highly technical and elaborate. You need to understand your equipment before using it to ensure a safe operation. Machines can have thousands of moving parts that are needed for it operate correctly. Every part must be in perfect running condition before you can start a job. Create a daily inspection checklist if that will help your team to stay on track. Without a safely operating machine, something could go wrong in a flash. Regular inspections will help avert potential accidents or injuries. Just as communication is extremely important for relationships in everyday life, communication is also important for driving results and meeting deadlines. Creating safety policies and procedures for all machinery is not only essential, but it could save lives and money in the long run. Safety and education is what we strive for. What keeps your business running?